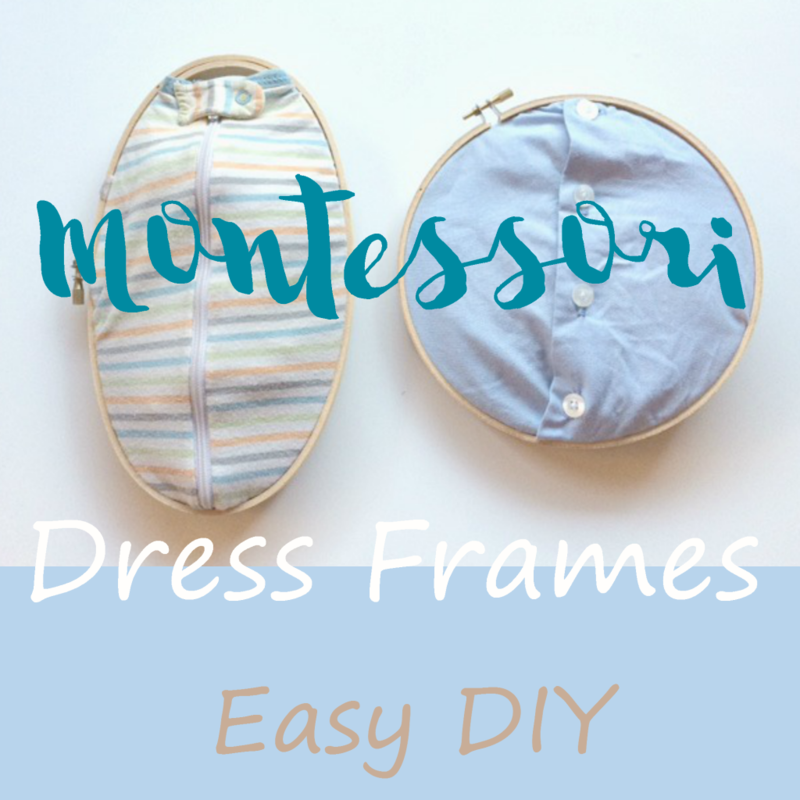 Montessori dressing frames are important for helping children develop both coordination and independence. The dress frames are used in preparation for independent care, before mastering the skill of dressing themselves. These frames are a great way for children to practice zipping, buttoning, tying and much more. After buying a buckle toy and eyeing the Melissa and Doug skills board, I realized that useful toys tend to be expensive and I started looking around for an alternative. There are many creative ways you can make your own dress frames; the easiest one which I am using for my 2 year old is a basket. I just place some of his clothes in a basket for him to explore and practice putting them on. However, I decided to make my three year old this easy dress frame, utilizing stuff I already had laying around the house. An Embroidery hoop and old baby clothes. I used recycled baby clothes that I would have otherwise thrown away, which made this DIY not only easy but super cheap 🙂 and that’s all there is to it really. Have you used a dress frame or something similar to teach your child buttoning, zippers and snaps? * There may be affiliate links in this post.